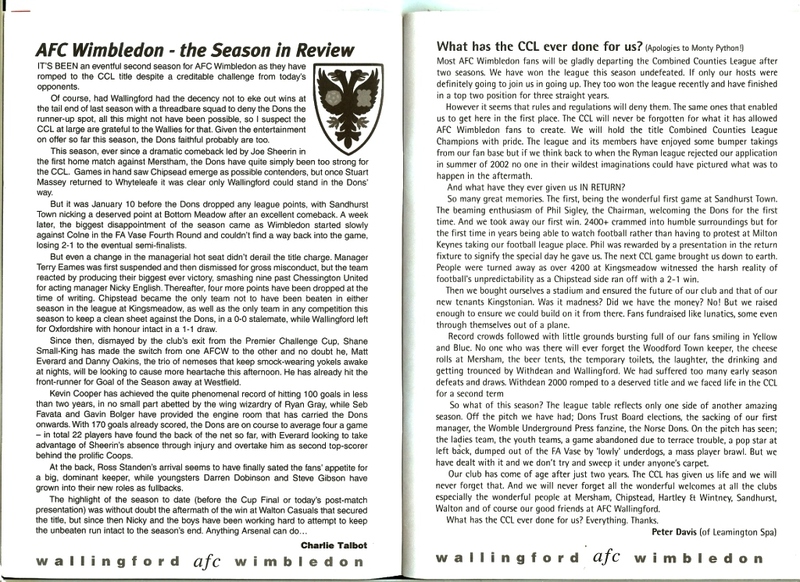 So, it was finally time to say our farewells to the CCL, and the Dons done it in a party atmosphere as they beat this years runners up, in a closely fought contest, to clinch a 46-game unbeaten league campaign – and double winning – season. 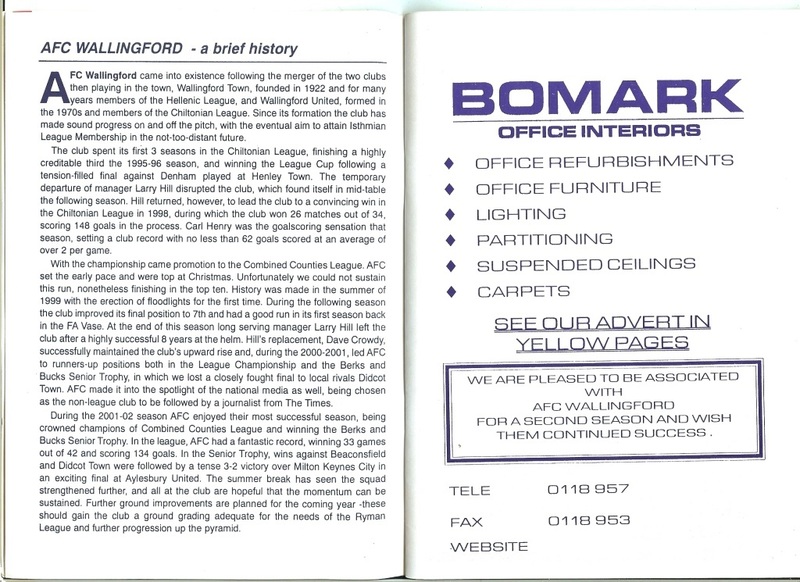 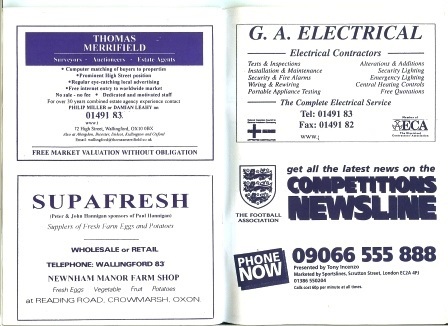 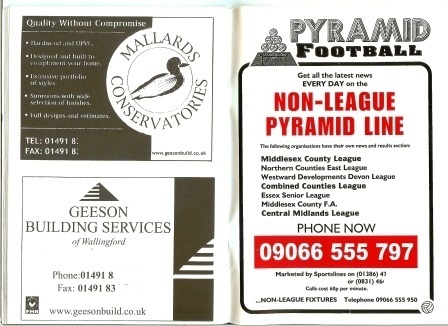 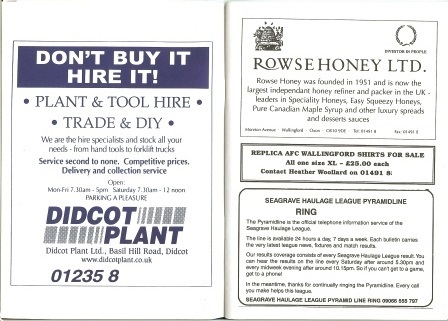 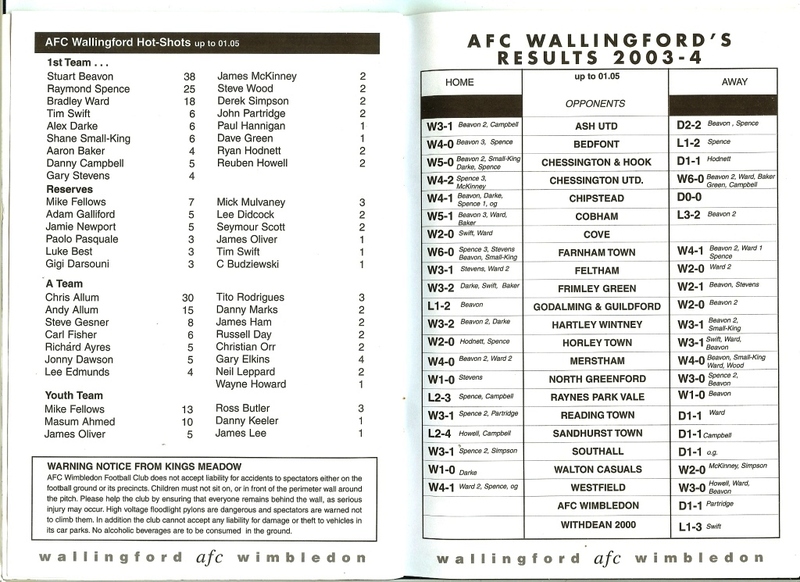 AFC Wallingford should really have been promoted ages ago, but with their ground not being the necessary standard, their highly rated side is still competing at this level of the pyramid (and next year they’ll be a level lower) . 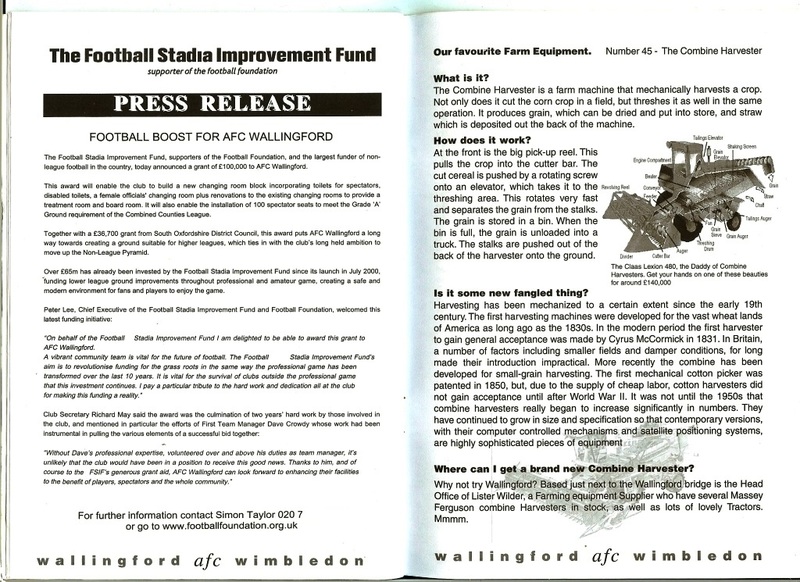 However, with a recent grant of £100,000 AFC Wallingford could start to make some progress up the leagues from next season, they will soon get the chance to compete at a higher stage, and deservedly so. 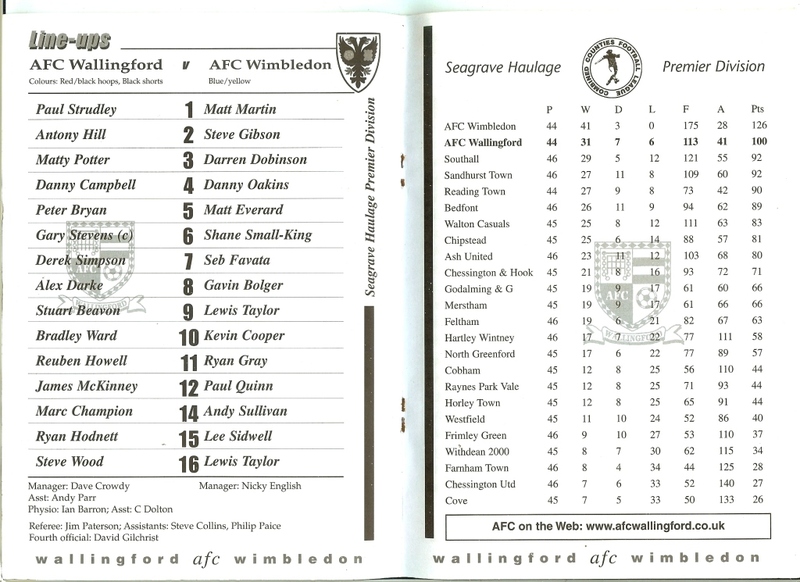 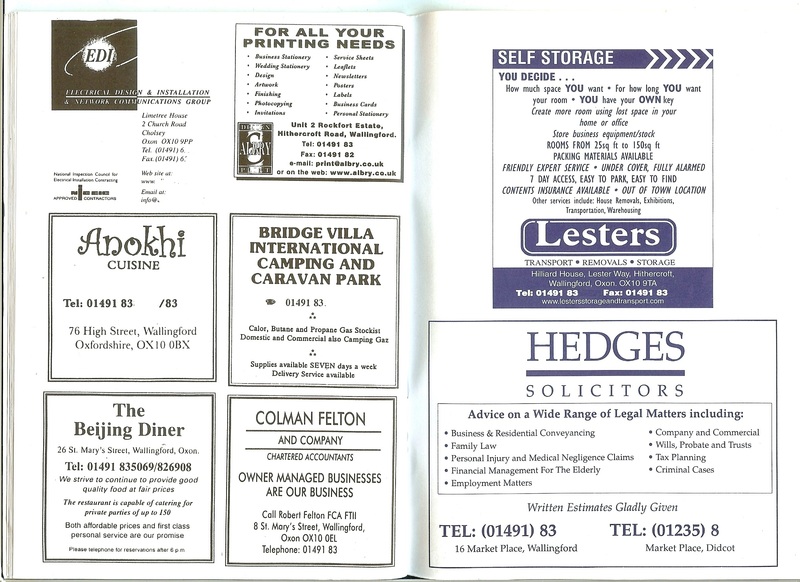 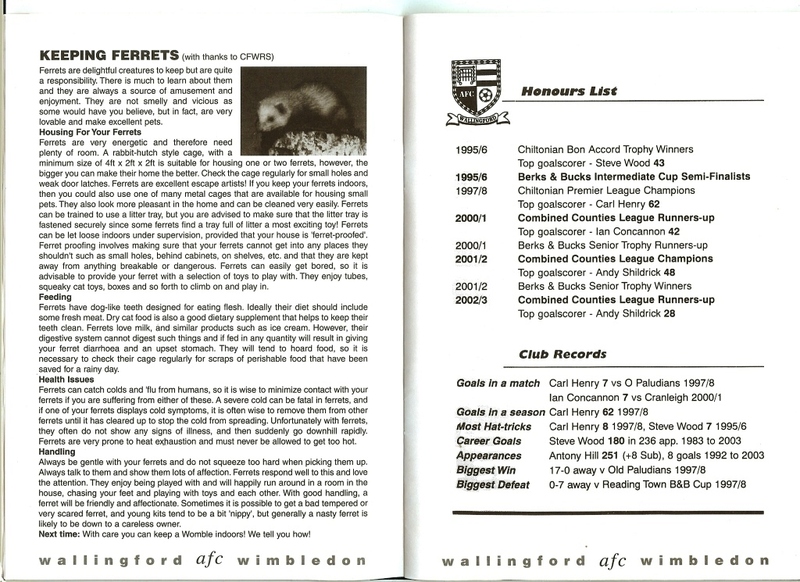 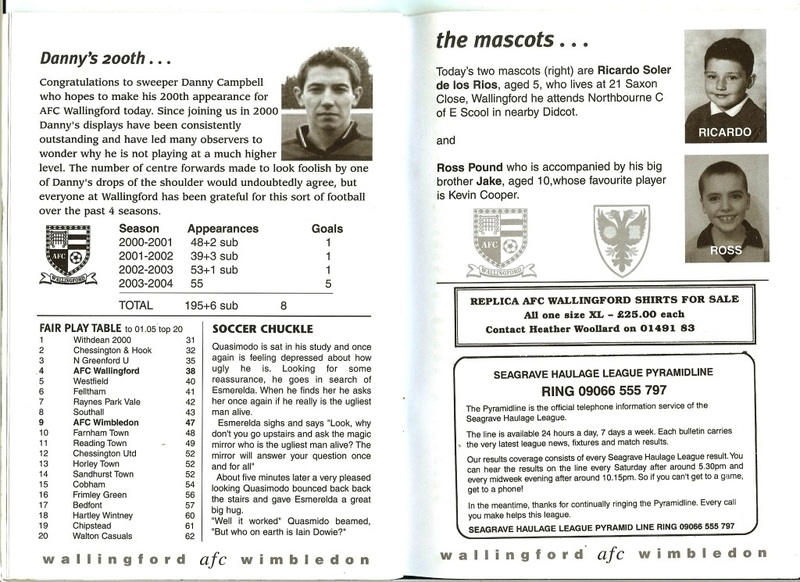 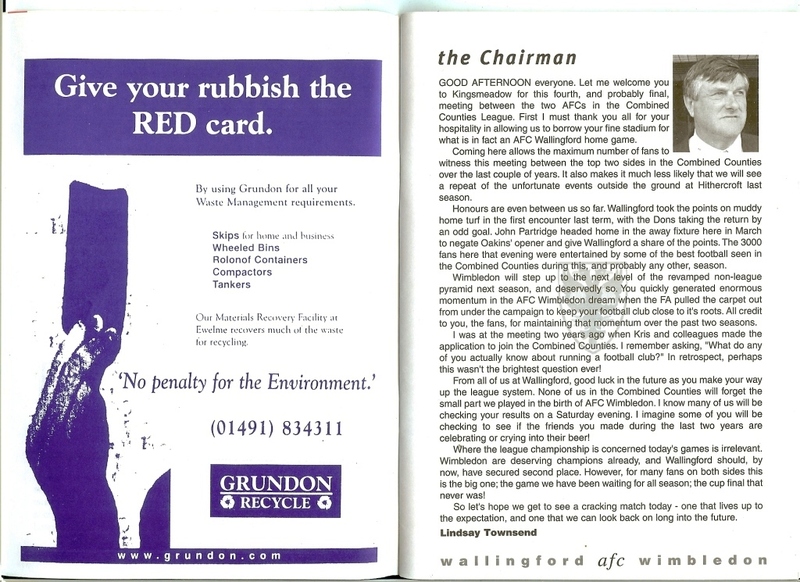 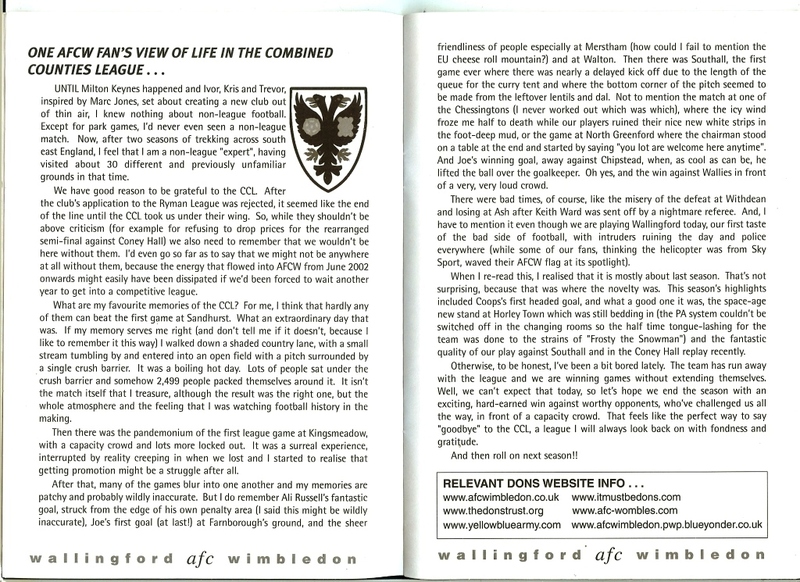 But for now, it was still the Combined Counties League for both sides, and the game would decide if AFC Wimbledon could go down in history as going through a whole season unbeaten. 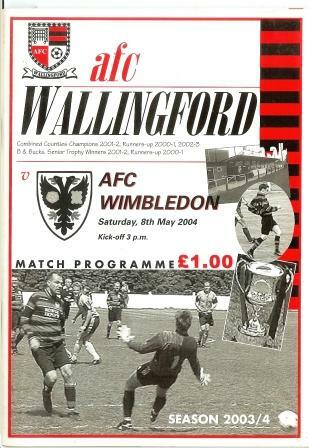 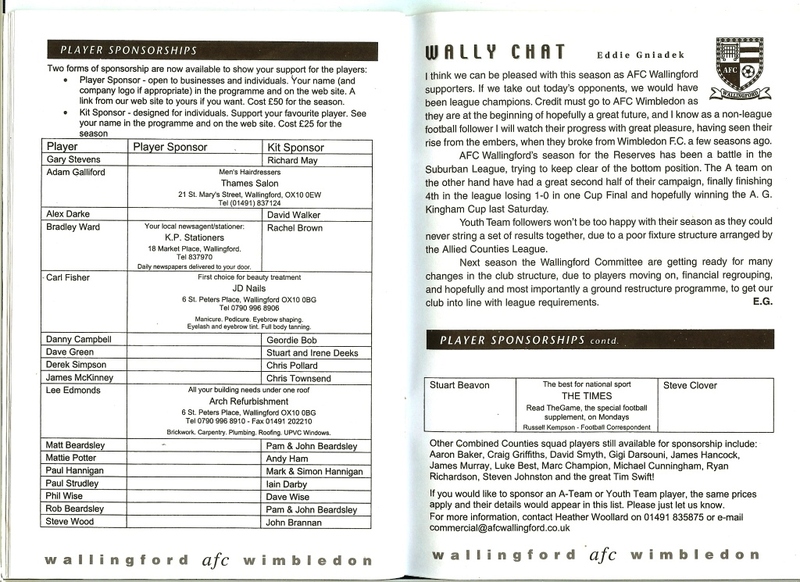 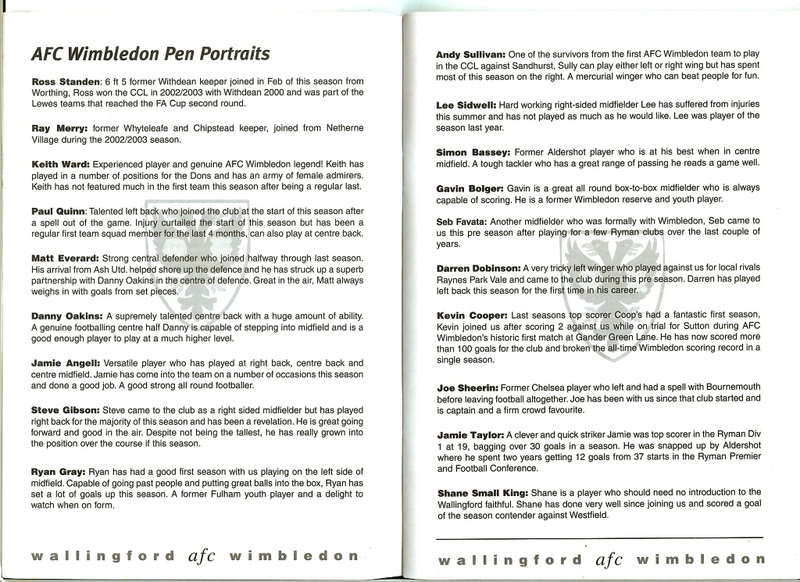 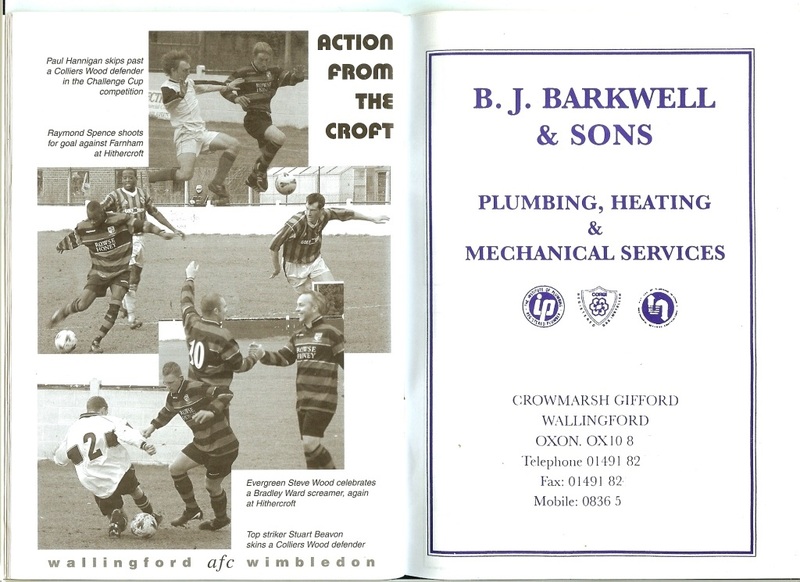 The generosity of the visitors to help AFC Wimbledon came about in the 1st minute of the game, when an atrocious back pass by Marc Champion allowed Jamie Taylor all the time in the world to rifle a shot past Paul Strudley and give the Dons an early cushion. 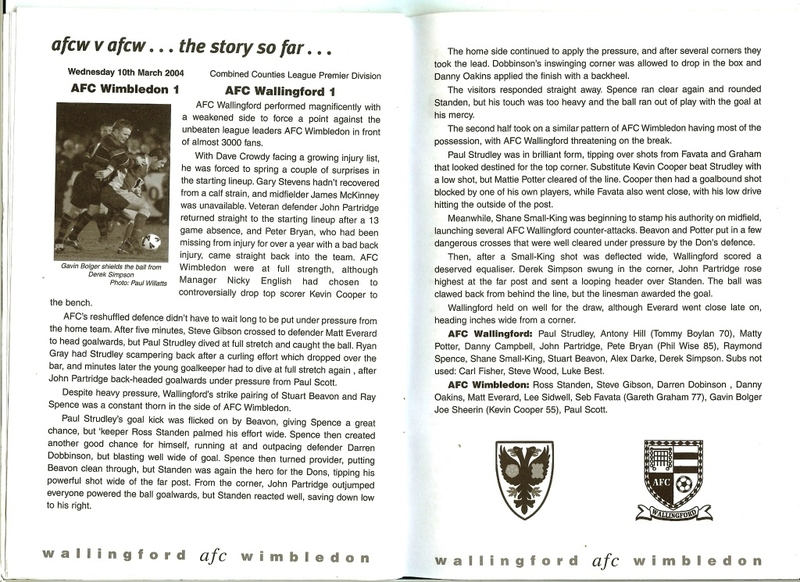 However, the Walies came back strongly, and hit the bar with a rasping effort by Pater Bryan soon after. 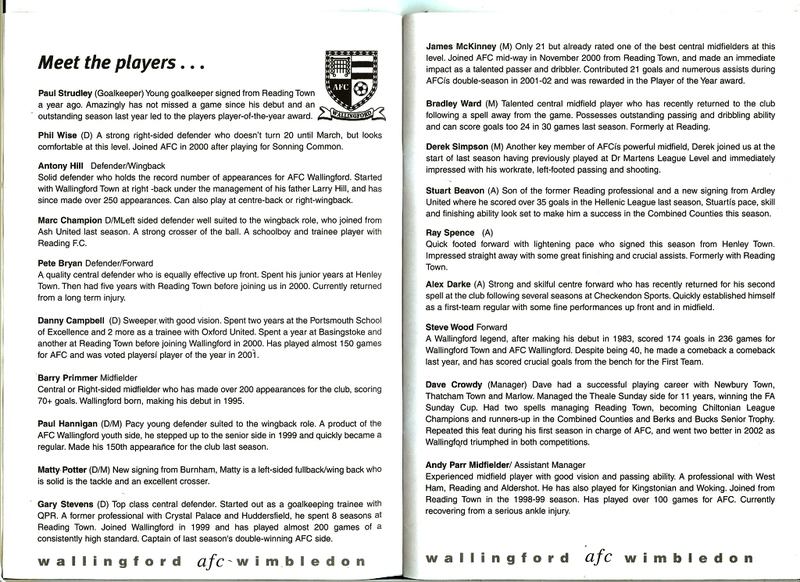 Aside form that the game didnt create too many chances with both defences being well organised enough to defuse any real threats. 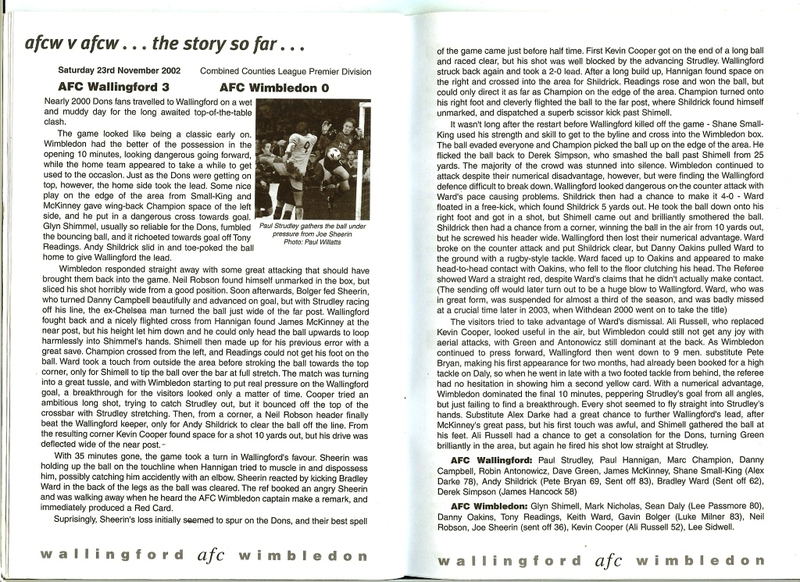 After the break Matt Martin was to be kept the busier of the two keepers but AFC Wimbledon were to eventually – and probably undeservedly – triumph. 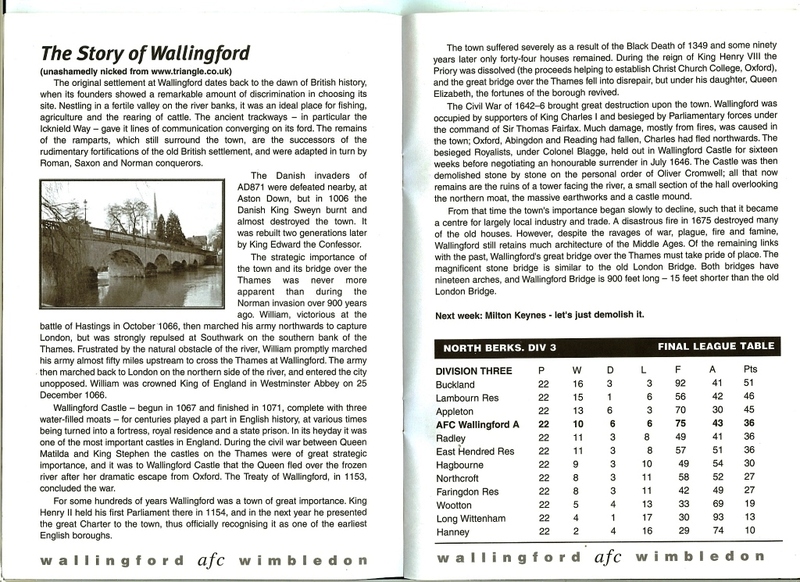 AFC Wallingford equalised with a good free kick by Ward that eluded Martin and gave Wallingford a sense that they could win it. 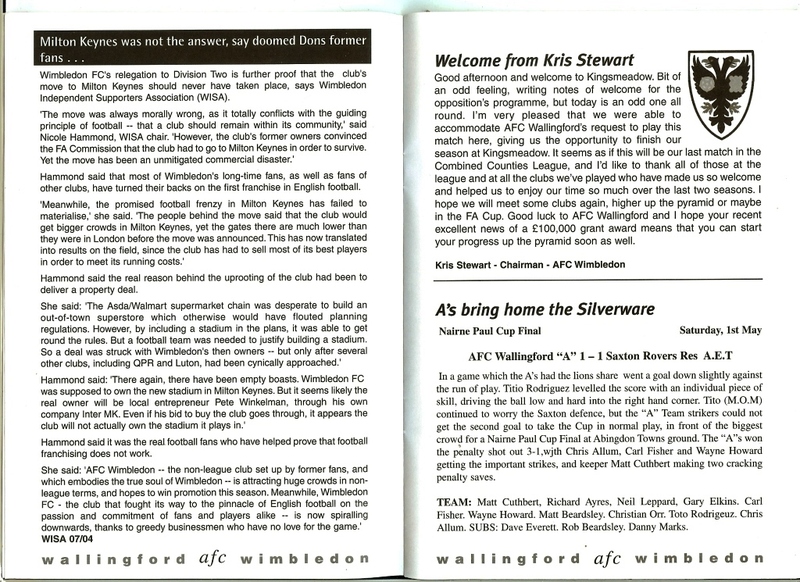 Martin then produced a stunning double save to keep AFC Wimbledon in it. 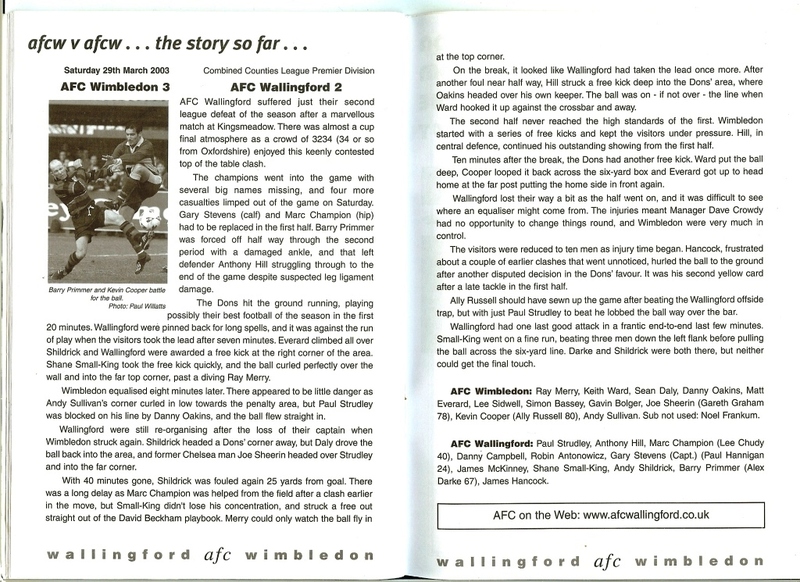 Towards the end Wallingford were still producing chances, but the Dons eventually pulled a goal in front with a heavily deflected effort form Gareth Graham to send the place wild and secure the Dons spectacular unbeaten record. 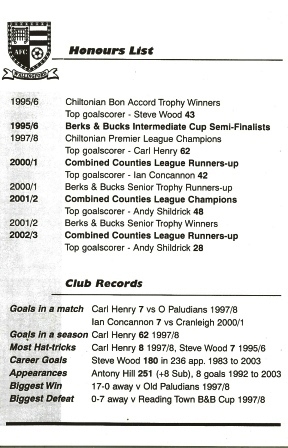 Roll on next season..